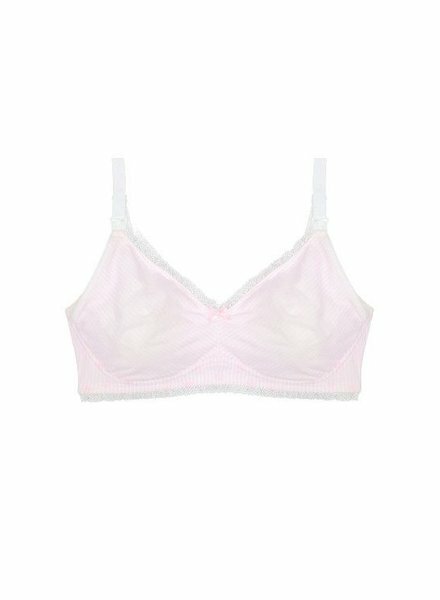 This bra is made from the softest lyocell jersey with a beautiful lace trim. 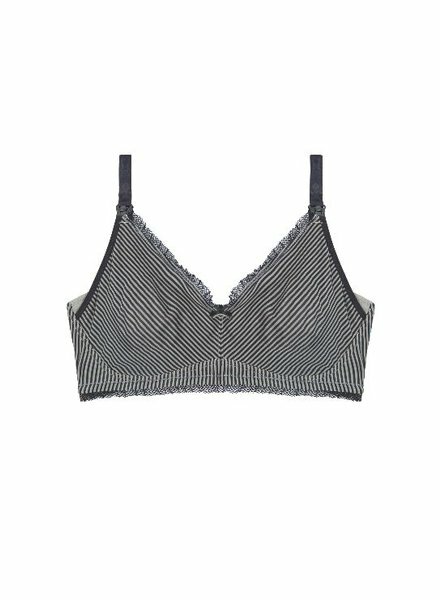 The bra has soft and wide shoulder elastics for optimal support, so Mia Maternity bra both looks and feels great. 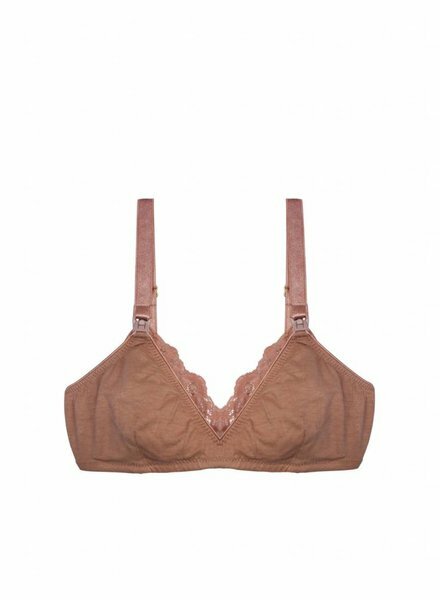 Fleurette maternity bra is made in a soft lyocell jersey with wings in recycled polyester mesh. 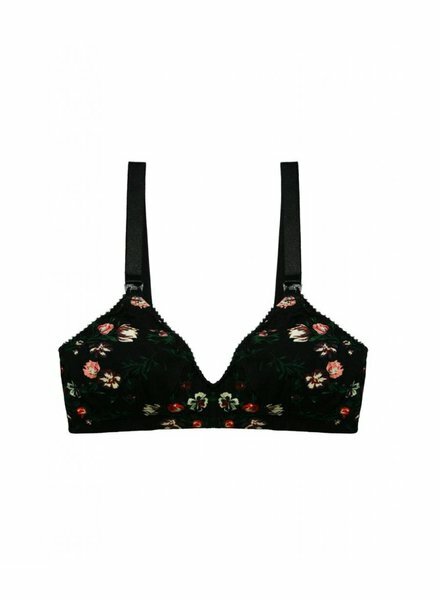 The lyocell jersey features has a beautiful dark flower print.